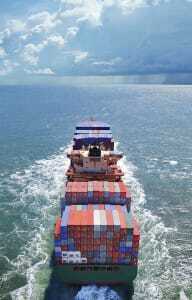 At Precision Cargo we handle all modes of ocean freight, shipping worldwide. Via our extensive global network of trusted agents, we can guarantee the same superb levels of service worldwide. We handle hazardous shipments and the out of gauge consignments however large, heavy or awkward. At Precision Cargo, we offer independent advice and deal with major international shipping lines, helping to ensure that flexible and cost effective routings are used for your consignments. With confirmed bookings, immediate confirmation of departure/arrival and all vessel container details and seal numbers logged, we keep you in the picture at all times. When your ocean freight amounts to less than a full container load, we can offer groupage and consolidation services worldwide to deliver a cost-effective cargo solution. RoRo (roll on/roll off) vessels are available for vehicles or machinery not suitable for container loading, while bulk load services are available for out of gauge freight. Our offices are directly linked with the CHIEF system for HMRC customs clearance procedures at all UK Ports . We are also able to offer assistance with Customs Harmonised Codes and procedures. Just give us a call to find out more, or to book your seafreight consignment today. Dear Valued Customer; As you may now be aware, the verified gross mass (VGM) regulation will become effective from 1st of July 2016. Based on SOLAS ( Safety of Life at Sea ) official documentation there are 2 methods clients are allowed to use in order to communicate the VGM to the shipping line. Method 1: Weighing the container after it has been packed and sealed, using calibrated and certified weighing equipment. This will be checked at Port and if incorrect an additional cost of GBP30.00 per container will be charged. Method 2: Weighing all the packages and cargo items, including the mass of pallets, dunnage and other securing material to be packed in the container and adding the tare mass of the container to the sum of the single masses, using a certificated method approved by the competent authority of the State in which packing of the container was completed. A third possible option would be for shippers to obtain the VGM details from the port where available. Should you wish for Precision to arrange the VGM an additional cost of GBP30.00 per container will be added to your invoice. Please advise at time of booking. Click here to view a seminar from BIFA which outlines all requirements. Precision would like to make you aware of the current situation with regards Shuwaikh Port Kuwait. Please be informed that the Port of Shuwaikh, is experiencing severe port congestion due to multiple gantry crane breakdowns. In order to avoid delays, All major Shipping lines will be temporarily suspending inbound cargoes into Shuwaikh until further notice. 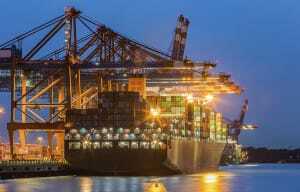 As you may know there is an alternative port which is Shuaiba although which is still accepting cargo but is quickly becoming congested also. We can see the congestion causing problems for the whole of March and up until the end of April. Many if not all UK shipping lines will not accept bookings this month & probably not until towards the end of April.